Coindexter Academy is built around the most up-to-date, national financial literacy standards as set forth by the Council for Economic Education and JumpStart Coalition. Each of the twelve Coindexter Academy lessons introduces students to core financial principles. By the end of the Coindexter Academy program, students will understand how to earn an income and how taxes and career choices affect that income. Students will also learn how to make wise spending decisions, how to pay using various methods and how to recognize the external factors that affect financial decision-making. Students will also develop a plan for saving and understand the importance that financial institutions play in our lives. As the program continues, students are introduced to the concepts of credit, investing and protecting purchases through risk management and insurance. 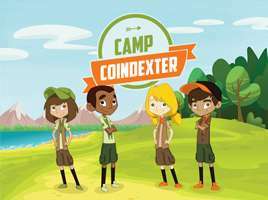 Coindexter Academy can be customized to include a sponsoring financial institution's logo and is also available in a Home Study Kit version that is great for getting parents involved in their child's financial education. Coindexter Academy gives students the opportunity to learn in two ways. First, students learn financial concepts in the classroom. Each Coindexter Academy lesson includes four discussion topics as well as four related activities. Once they understand the financial concept presented in class, students have the opportunity to undertake a virtual mission objective. Students can put their financial knowledge to the test in the game-based, virtual world of Econoplois found at Coindexter.com. Econopolis provides students with an autonomous learning environment where they can expand their financial knowledge by making decisions and taking risks. Coindexter Academy mission objectives can be completed either at home or on a school computer. Coindexter Academy provides high quality resources for teachers. The Coindexter Academy Teacher Resource Guide breaks down each of the twelve lessons into lesson objectives, glossary terms, discussion topics, teaching approach, virtual mission objective, and related financial literacy standards. Teachers can also track each student’s progress online through the teacher portal found at Coindexter.com. Each teacher receives a unique Coindexter.com account that is linked to each of his or her students. Teachers can view and analyze detailed reports about each student’s virtual financial behavior and achievements through a clean and intuitive web interface. Available data for each student includes amount earned, percent saved, percent spent, overall classroom ranking, mission objective progress and mission objective completion date. 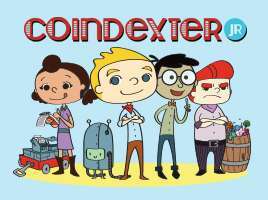 To learn more about the Coindexter Club or to visit the virtual world of Econopolis, please visit Coindexter.com!